Renowned for its abundant and peaceful waterways, Bedfordshire has plenty to offer any team building event with pleasant countryside and ancient woodlands as well as some of the UK’s best animal attractions like Woburn Safari Park and Whipsnade Wild Animal Park. Picturesque villages are dotted across the county, Ickwell and Old Warden will charm with their thatched cottages and half timbered houses, friendly pubs, cosy inns and delicious food whilst gorgeous Georgian towns like Ampthill and Woburn are worth including in your away day plans as feature the magnificent Abbey, home to the Dukes of Bedford. Why not take part in a Top Activity Day in the glorious Bedfordshire countryside or enjoy a murder mystery in one of the many historic locations this county has to offer! Call our sales team on 0845 006 06 06 and take advantage of our great free venue finding service and explore all the event options for your team day in Bedfordshire. 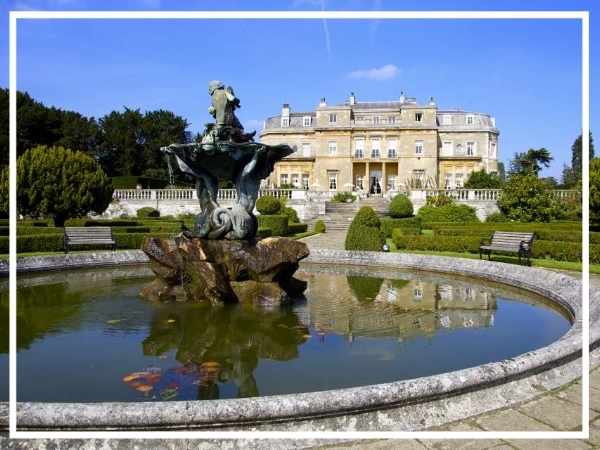 Luton Hoo is a gorgeous five star hotel that would provide the ideal backdrop for your next team building event in Bedfordshire. A magnificent venue, it sits in over 1000 acres of parkland and boasts pillared halls, elegant lounges and restored period rooms. A secluded manor house in the heart of Bedfordshire, Woodland Manor Hotel is surrounded by four acres of wooded grounds and gardens. A great choice for a team building day in Bedfordshire, the hotel boasts 33 stylish bedrooms as well as four flexible conference rooms.